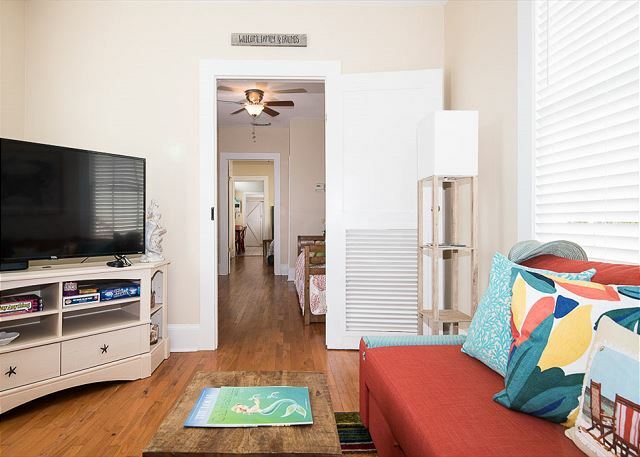 Shotgun Shelly-a true shotgun house, built in 1905 is now available for island adventurers! 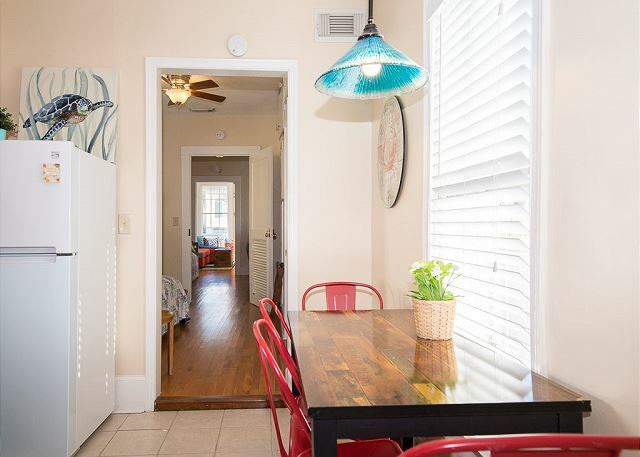 Shelly is decorated in lovely coastal colors, has hardwood floors in living/sleeping areas and tall windows that exude a bright and beachy feel. 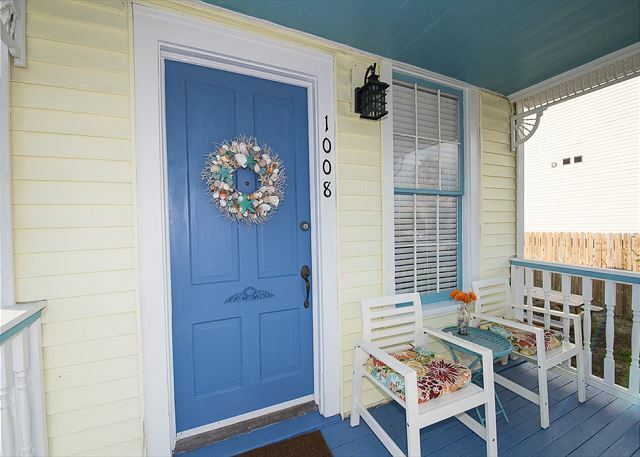 Spend mornings and evenings sitting on the raised front porch while enjoying the almost constant gulf breeze, along with your favorite beverage. 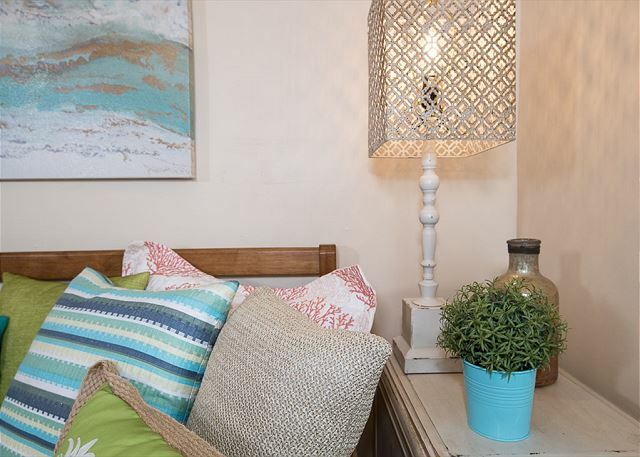 This home can accommodate up to 5 with two bedrooms and one bathroom. There is a beautiful spacious twin daybed in the first bedroom, a queen bed in the second bedroom and a sleeper sofa in living room! 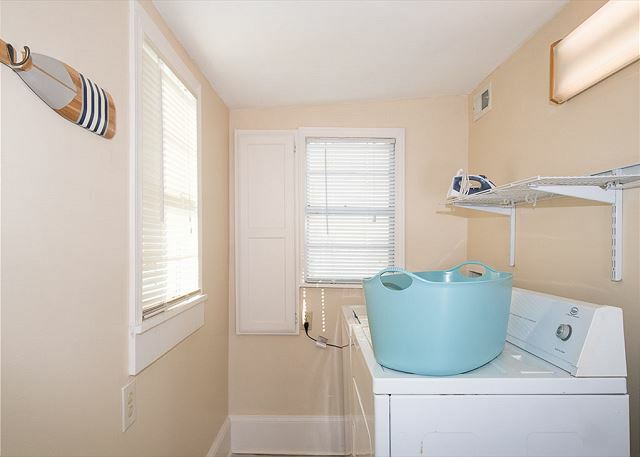 The shared bathroom is located off the first bedroom and includes a tub/shower combo. Shotgun Shelly is a pet friendly home and are happy to accept one dog at 50 pounds or less (or two dogs under 25lbs), with an additional pet fee. Dogs must be fully housebroken, well behaved, kept on a leash at all times while outside and crate trained. Please plan to crate if you are away from the home. Feel free to bring in a clean doggie bed as we ask that furry friends be kept off the couch. For your convenience, we do provide doggie waste bags. Picking up after your pooch will be appreciated by the next guest. Please note the layout. You will need to walk through both bedrooms to get to the kitchen so privacy in the bedrooms will be minimal, at times. 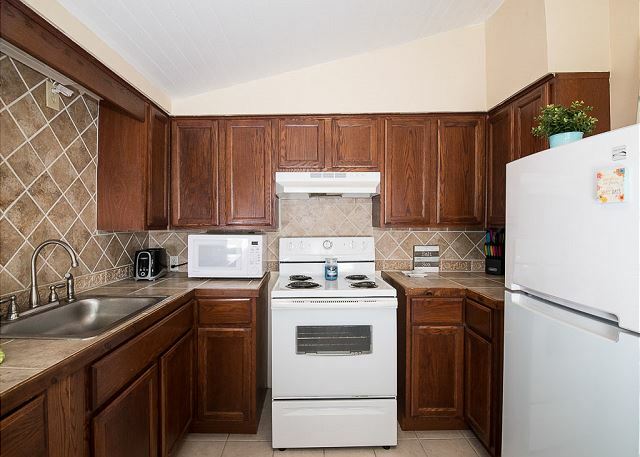 Shelly is located in a prime area that is close to many fun activities! •	Seawall Boulevard and beach access is only 5 blocks away, so just a short walk to get your toes in the sand! •	10-minute walk to Stewarts Beach, where chairs, umbrellas, food and bathrooms are available. •	Beautiful, historic Bishops Palace is .4 miles on Broadway, where tours are available. •	Galveston Island Historic Pleasure Pier is 1.6 miles. •	Murdoch’s sea shell shops are 1.3 miles away, straight down the Seawall.